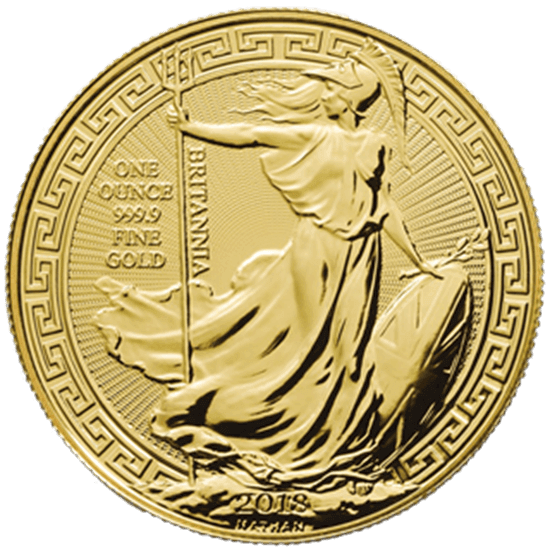 The Royal Mint is proud to release the Limited Edition 2018 Britannia 1oz Gold bullion coin with Oriental Border. 2018 Gold Britannia coins are supplied in brand new, uncirculated condition. For 2018 the Royal Mint has released a Limited Edition coin to issue a special Britannia coin, celebrating our historic relationship with Asia. Struck in fine gold, Britannia is flanked by an ornate oriental border inspired by the Chinese-themed rooms at Buckingham Palace and the Royal Pavilion in Brighton. A limited number of coins are available. 2018 1oz 24k Gold UK Britannia Oriental Border has been added to your shopping cart! ​Download our experts guideline on what to look for and how to buy Gold or Silver.